Brad Hamacher is a former Minnesota High School and NCAA Division I College hockey player who has coached in California for 15 years. These days, in addition to on and off-ice training, Brad operates a wholistic one-on-one player/family mentoring program. Brad’s working on a series of posts analyzing hockey’s current youth model, what we can learn, and what we can fix. I thought it would be a good idea to start the conversation by taking a deep, honest look at what hockey has become at the youth levels. Not every player will fit into each box perfectly, but wiggle room is ok.
Alright, here we go. What does today’s youth hockey player strive for above all else? Kids don’t just play anymore. They have to travel and seek out the best. The neighbourhood kid is just too big of a plug to play against and is a waste of time. My Advice: Just play and play a lot. Play against bigger, faster, younger, older, slower, more skilled, less experienced, girls, boys, and so on. The game is the greatest teacher and coach of all time. Every game at every level despite winning or losing or the scoreboard has lessons to be learned. Skills to be practiced. Situations to be experienced and played out. Roles to be perfected. Systems and concepts to be applied. Fun to be had! Imagine that? My Advice: Just stop. Please. Hockey people should take ego and self interests out of the discussion and just educate players and families. My experience is there is value in AAA at the 14U Bantam Major level of hockey and above. It is not where you start the race but where you finish. Instead of driving and flying all over to play a handful of games, get on the ice, in the gym, on the sport court, on the track, on the turf, in the driveway with stick in hand, at the park, and find the value and much lower cost of those things. In-House programs are dead, nearly dead, or shrinking. Outdoor ice in cold weather climates is greatly underused. My Advice: Every rink should build a program for 6U, 8U, 10U and 12U or whatever levels they can based on player base/population. This is where future stars are made. This is where coaches make a lot of mistakes and learn before advancing. This is where young kids, that want to make some money refereeing need to learn and gain experience. I just returned from a trip to MN. There was more than one association that told me they have to put three teams on the ice for a practice due to a shortage of indoor ice. As a kid that grew up on outdoor ice, I naively asked about moving teams outdoors and after they laughed at me they said nobody would accept that. I understand the dangerous bitter cold from living there and taking California teams there in the subhuman winter months, but when kids can get more practice time/playtime/fun time outdoors over the course of three days than they get in a month at home, maybe there is value in getting uncomfortable and stepping outside the box. My Advice: See # 1 above and just play. Stop stressing and worrying about levels, letters, and expensive perfect parity. Kids don’t want to play unless it’s at the indoor rink. Here in CA, that can mean an hour drive, plus 15 minutes to get dressed, plus the hour ice session, plus 15 minutes to get undressed plus an hour drive home. 3.5 hour commitment for an hour on the ice plus the cost of gas plus $30, $40, $50 or more for the ice session where the player most likely took 20 shots and had the puck on their stick for 5 minute​s total. Getting youth players to do anything outside of going to the rink is like getting them to clean their rooms. My Advice: A large percentage of Pro Athletes were also multi-sport athletes. 28 of 32 NFL 1st Round Draft picks in 2018 were High School multi-sport athletes. Push, cajole, encourage, bribe, force, educate, incentivize, and exhort players and families to play other sports. Show them the data on Overuse Injuries. Show them the data on pro athletes and the huge value of playing multiple sports. I test players in the spring on speed, strength, agility, and skills like shooting and stickhandling. I then show them ways without ever going to the rink they can make drastic improvements over the off season and even in-season. 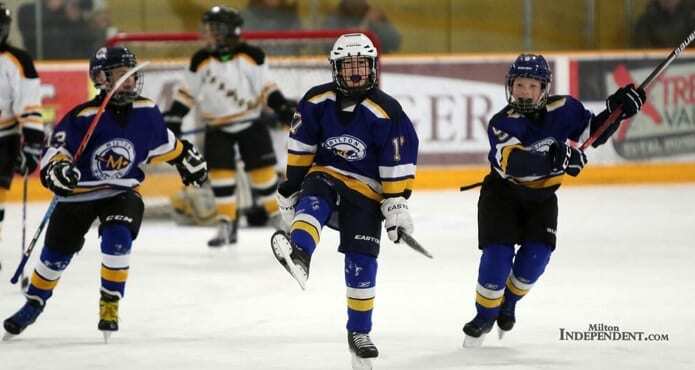 Once players reach a certain age and level of proficiency, they are MADE in the off season and most of the time that includes very little rink time. I hope you enjoyed the read and feel free to tell me where I am right or wrong. Just don’t tell me I’m brilliant or good looking because I’ve been recruited before and I am wise in those ways and secure where/who I am. I am, however, open to feedback and honest ​personal development. I’ll be back with part 2 shortly. Brad Hamacher is a former Minnesota High School and NCAA Division I College hockey player who has coached in California for 15 years, has trained over 1,600 players since 2006 at his annual Checking and Goalie camps, founded and runs a wholistic one-on-one player/family mentoring program, runs small group individual skills sessions, a data driven 12 year off ice testing combine system, scouts for various organizations in the western U.S. and is a camp skills coach for FCA Hockey in the summer.